When it comes to small business technology and how much to budget from your capital funds, the rule of thumb is usually two percent. However, it is always better to over estimate than under budget. There will always be special projects that will crop up during the year, and staff turnover can also have an effect on a technology budget. There are a number of factors that will make an impact on a budget when it comes to business technology. These factors will usually include the size and type of business and the technology needed. However, the rule of thumb 2% of overall capital should still be used no matter what size of business. There will of course be many differences and every company is unique. The budget will usually be a joint decision by managers and accountants. Information Technology (IT) personnel may also be needed to decide what technology is actually needed. 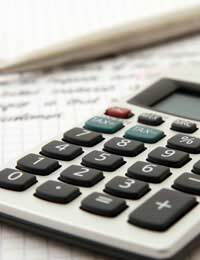 Small businesses should also remember that VAT may need to be added to when calculating their technology budget. Assuming that a small business only has a few staff using a few computers then the business should only need one server. Larger businesses may need more than one server and as such will need a greater outlay. The number of staff will increase the amount of outlay, assuming that most personnel do use computers in the workplace. On top of this there will be a host of vital business technology equipment that may or may not be multiplied by the amount of staff. There are many websites that small businesses can use to calculate their technology budget. These websites will include technology spreadsheets with almost every item that will be needed within the technology side of a small business. Businesses customers can then input the number of staff they have and whichever items of technology they think they will need. Formulas will be given for the spreadsheets that will work out the accurate costing for a year's business technology requirements. Hardware; the actual computers and servers. Software; programmes and operating systems. Computer training, if needed, for staff. This is by no means an extensive list and all companies will be different, but this does represent at least the basic technology requirements. The budget may increase or decrease depending on the sophistication of the equipment and the software needed. Staff turnover will affect technology budgets to an extent. If a company does expect a high turnover of staff then extra computer training may be needed, which could involve outside IT personnel. Taking on extra staff throughout the year may also mean extra computers and this should be estimated in the original budget if possible. The decision whether to lease or buy technology will also be a budgetary factor. In the long run it may seem like buying is the less expensive option, but leasing is usually the cheaper option when repairs and upgrading technology are factored in. Most small businesses should take the leasing option in order to save on the capital outlay that comes with buying, and upgrading new technology. Where technology and budgets are concerned it is always better to over estimate a budget rather than under estimate. Small businesses should always figure in emergency funds where technology is concerned; there is no point asking for a business loan for less than is needed. Underestimating a budget may cause problems later in the year if extra money is need for new projects and extra work, especially where a new start up business is concerned. Making a realistic technology budget will involve time and research. A long term technology budget is essential for the smooth running of any small business. Leasing options should be a great help in keeping costs low during that all important first year, and leasing agents should be able to give the best advice on the best technology options.